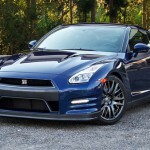 With its introduction in 1993, the fourth generation Toyota Supra was the fastest and arguably the most formidable performance cars that Toyota had ever produced, dominating the period which was known as the golden decade of the Japanese car manufacturers (Period which gave a birth to Nissan Skylines, 300ZX, RX-7, NSX and many other iconic Japanese sports cars). 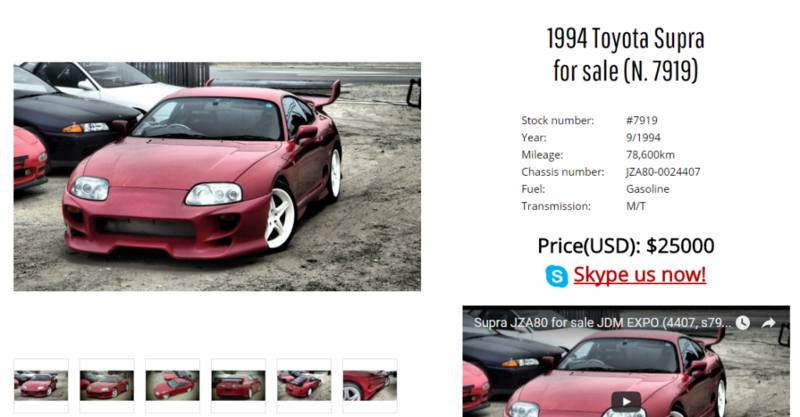 Although much description of the car’s legendary performance is not needed for the Supra fans, the initial price of this car in the 90s started with $40,000 (USD) which would be equal to almost $ 60,000 in today’s dollars. 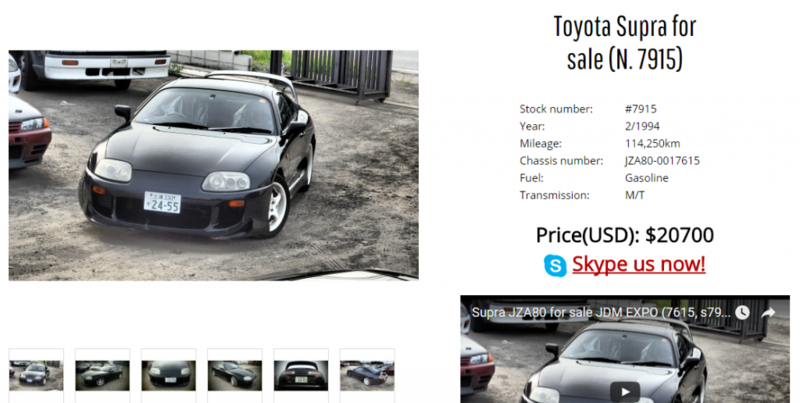 Now, after more than two decades of time period have passed, you can import one of those legends in a very good condition from Japan at a lot discounted prices. 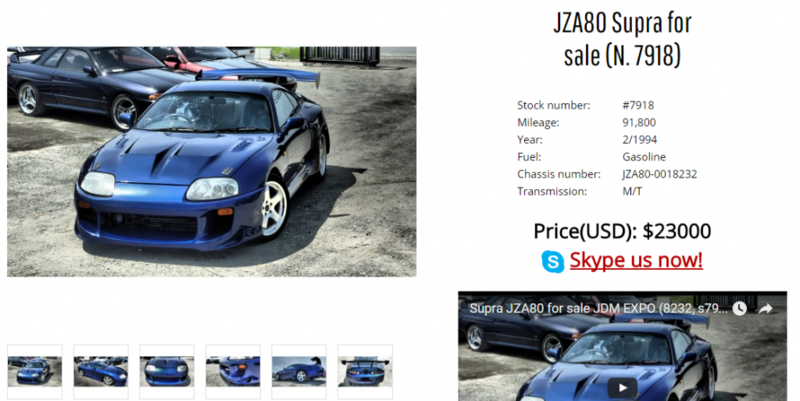 In the links shown with pictures below, check out the Toyota Supras available for sale at JDM EXPO Japan and feel free to contact us for more info in any of those sports cars. Be the first to know about our new operation reports, vehicle sales, company news and many great deals! 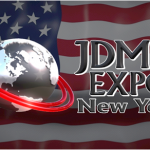 JDM EXPO Comes to the USA! 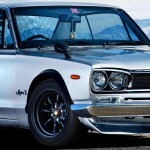 Why should you buy Hakosuka / Kenmeri from Japan? 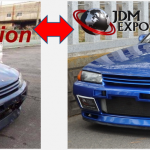 Purchase through random auctions or from reputed JDM dealership?